Safety Seminar – Summit Helicopters Pvt. Ltd. Aligned with ‘Safety First’ culture, Airbus Helicopters launched the Aviation Safety Road shows as a cooperative effort with our customers to increase level of safety. The Safety Road shows are the result of Airbus Helicopters’ role in the executive committee for the IHST (International Helicopter Safety Team) and involvement in regional safety initiatives such as the EHEST (European Helicopter Safety Team) and other local chapters. The goal of the IHST is to create an international rotorcraft community with zero accidents worldwide. 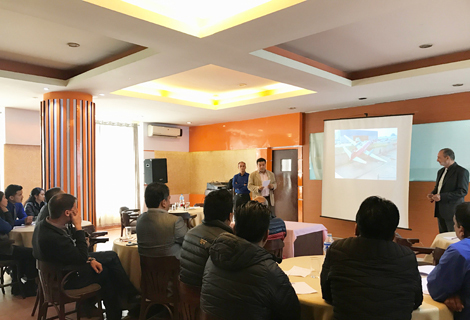 As scheduled, Safety Road Show Seminar for Fishtail was held on 22 Feb 2017 and these Road shows allow our teams to accompany customers on the path to improve operational safety. So as Fishtail Air Team-Management, safety supervisors, pilots, maintenance engineers, operations who are committed to a strong cooperation with the sole purpose to increase the operational safety and reduce the accident rate. Fishtail Air is getting much safety awareness procedures and planning to decrease up to zero level accidents and dangerous catastrophes. Fishtail Air Top Managers from each department along with other staffs has decided to analysis and make a record of upcoming hazards, whether that is small or big; implementing step by step presentation of the four pillars of the SMS for Helicopters Safety Risk Management, giving full training to operators and engineers, Technical Support with HCARE, Proper Safety Equipment, HUMS, CAMO as well as Vision 1000 in coming months. Fishtail have decided to have meeting each Sunday of week regarding safety procedures and to implement the results as soon as possible for better safety. 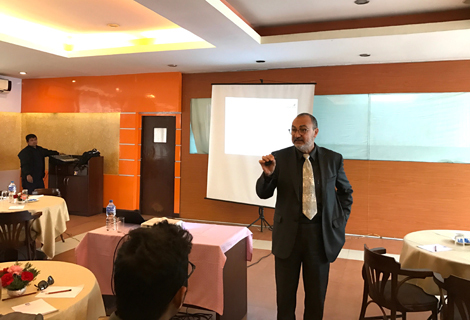 At last, for the success of this workshop, Full participation of senior management and all levels of the organization is required.